The Shiraz: Didn’t taste like much – would be a good wine for someone who doesn’t like wine. The Merlot: Smelled (and tasted) like pepperoni pizza. We nicknamed it Peppermerloni. The end result: Two-Buck-Chuck doesn’t compare favourably to good wine. 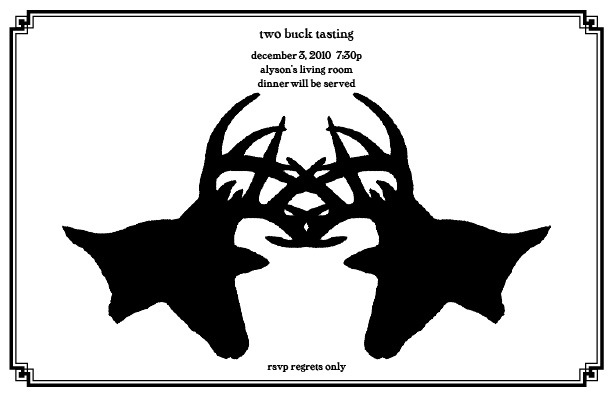 This Friday night is brought to you by: The Two-Buck Chuck taste test. As some of you know, the grocery store Trader Joe’s sells Charles Shaw wine at $1.99. I’ve had it here and there, and it’s drinkable, but not usually spectacular. 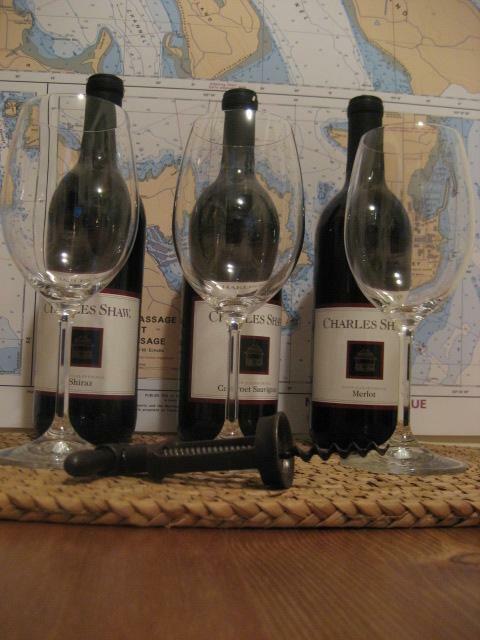 With the help of some friends, tonight we will be comparing the various types of two-buck chuck. I threw the idea out to some friends and they immediately suggested dinner as well, so now we’re going to have a lovely dinner with our wine too! I can’t wait! I’ll be sure to let you know which wine is the winner of the two-buck-chuck-challenge.